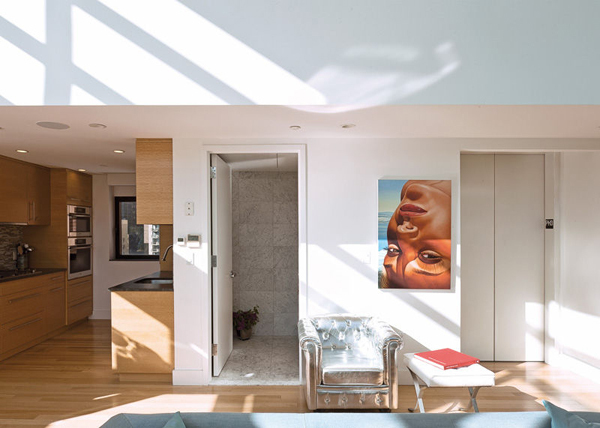 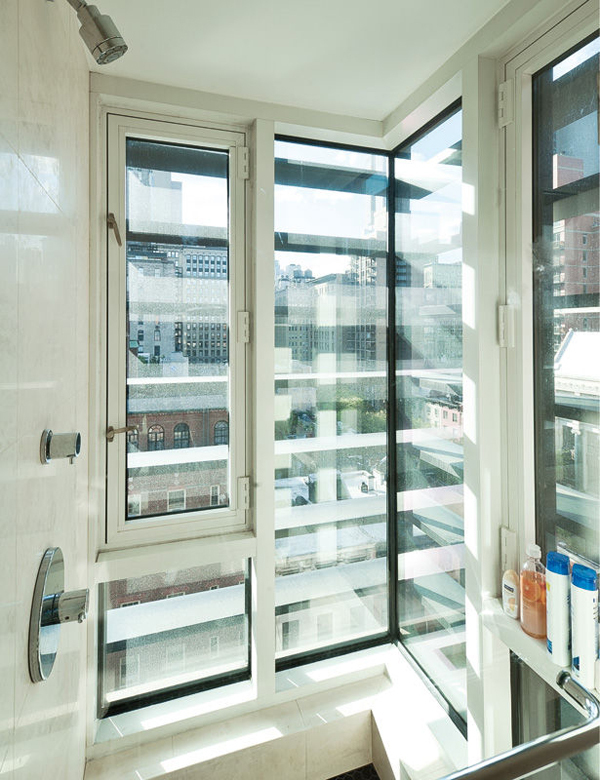 David and Jane Cohen had finally moved into their perfect dream apartment filled distinctive architectural details, big beautiful windows and stunning views of the New York City skyline. 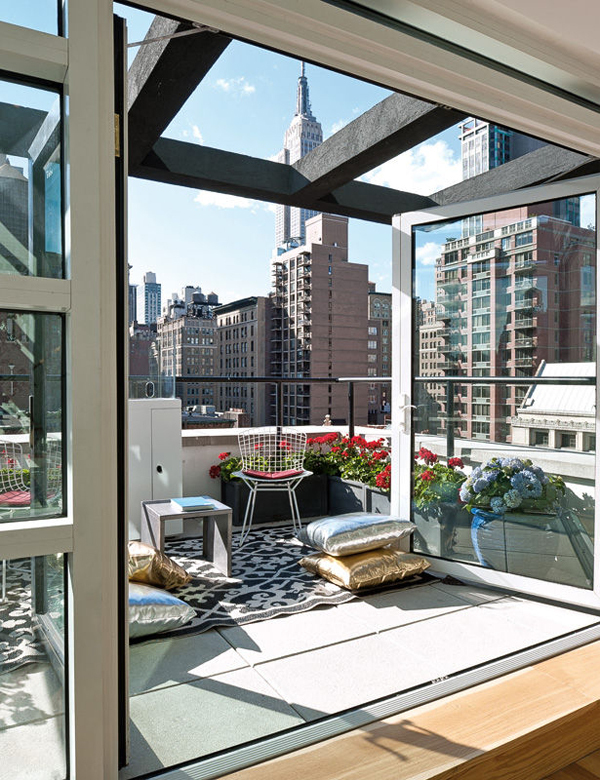 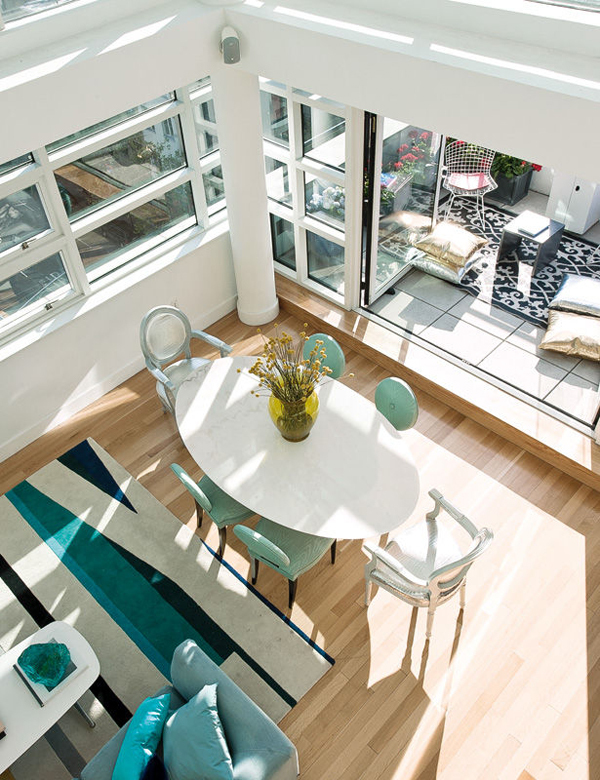 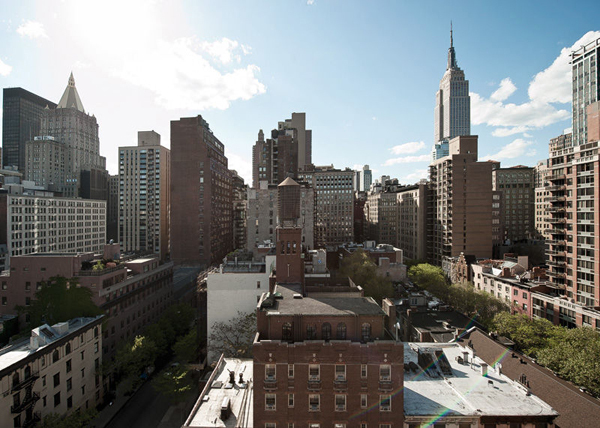 The terrace of the penthouse, located in the Murray Hill neighborhood, is perfect for entertaining. 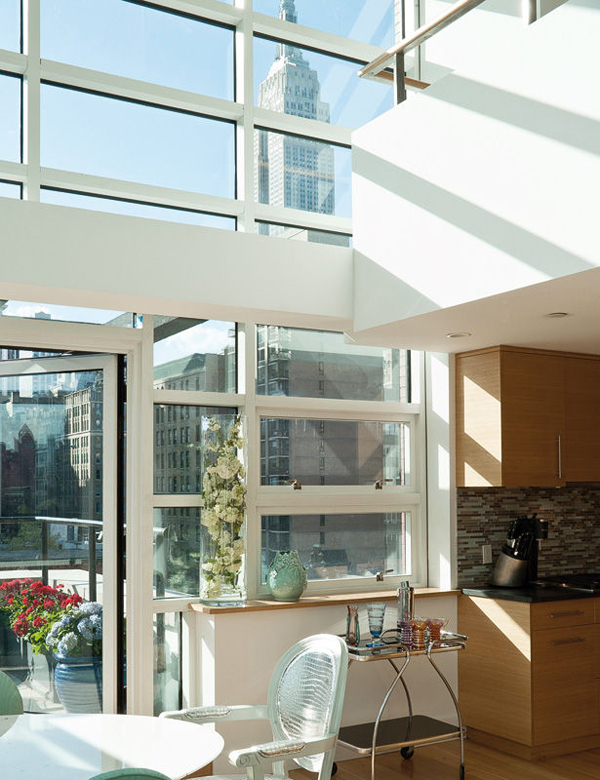 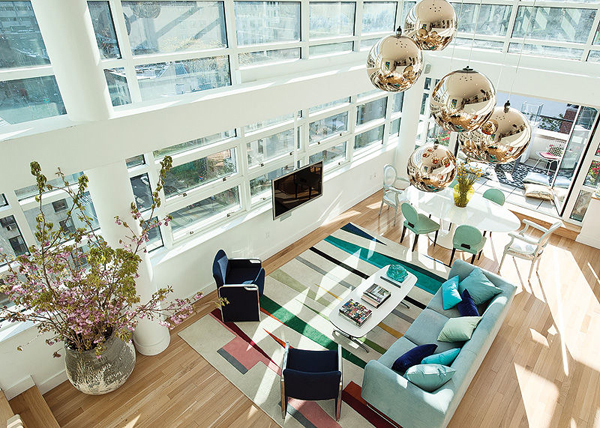 Their temporary furnishings were too neutral and bland for the 2,000 square foot space, making the aesthetic of the penthouse appear as a big white box. 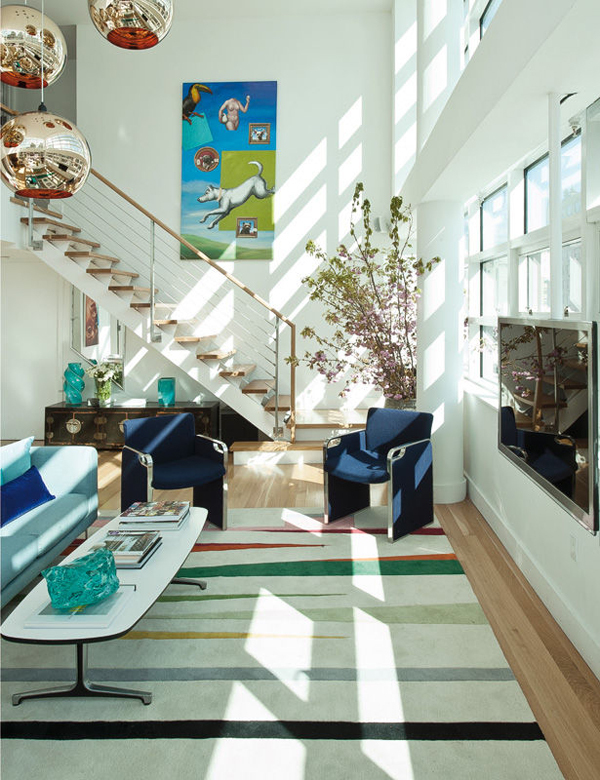 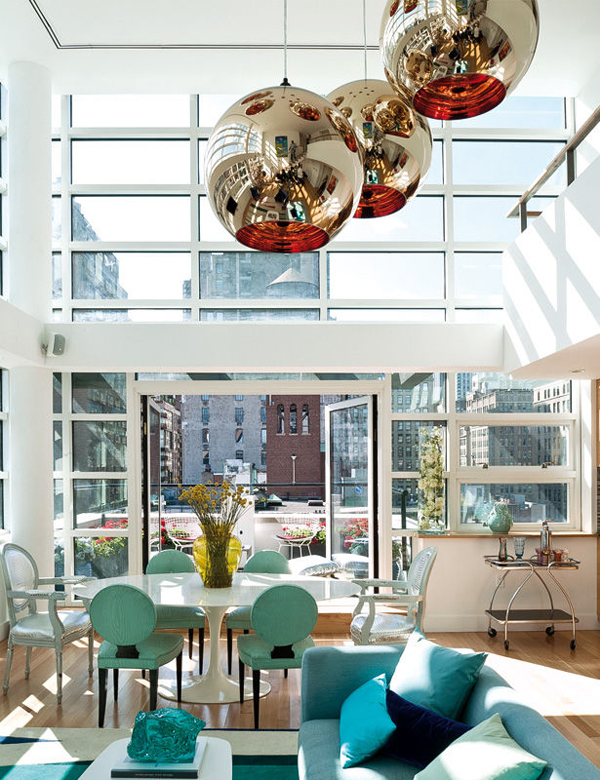 They wished to have a bright and colorful home, so they hired designers Robert & Cortney Novogratz to fulfill the task. 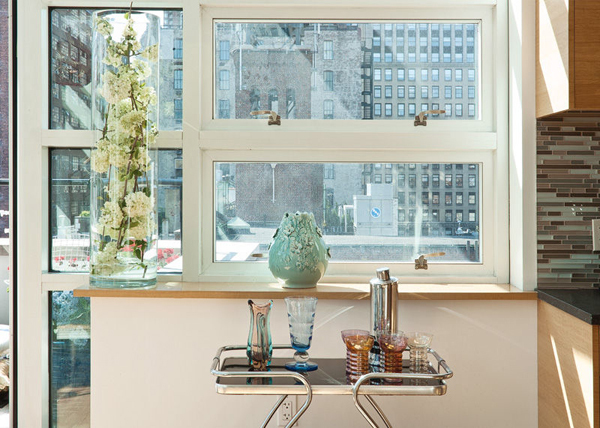 The goal of the designer’s was to infuse the penthouse with a vibrant and timeless eclectic look. 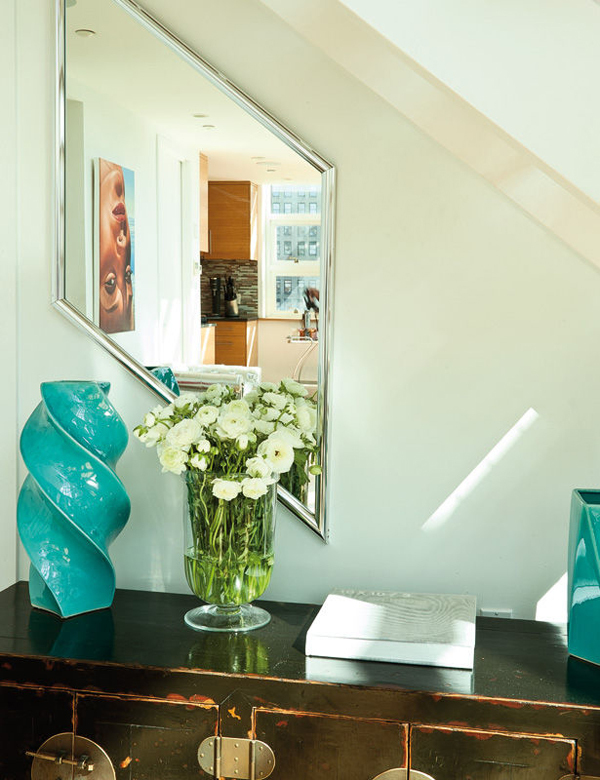 They mixed contemporary furnishings with vintage pieces and colorful surrealist works of art by artists such as Cristina Vergano and Richard Phillips. 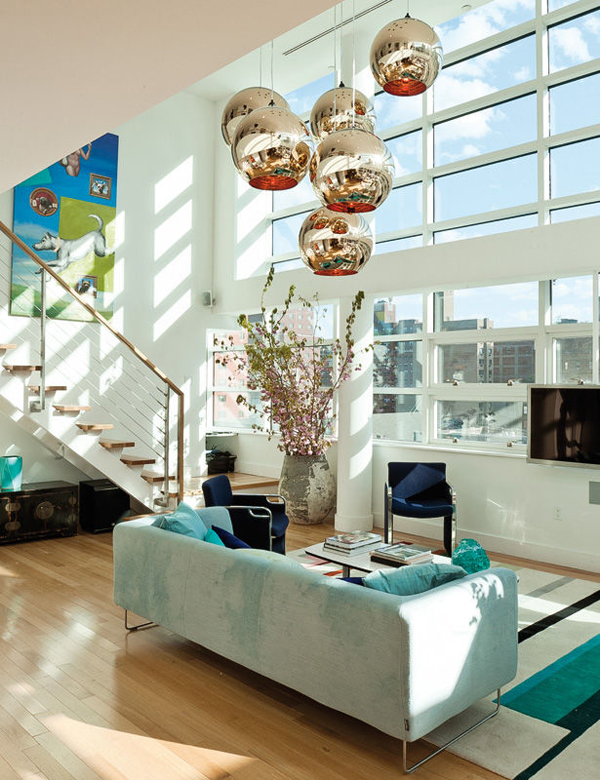 To make the new home really pop, they used metallics to reflect the New York City skyline and bold punches of color in the furnishings and artwork to make the space really extraordinary. 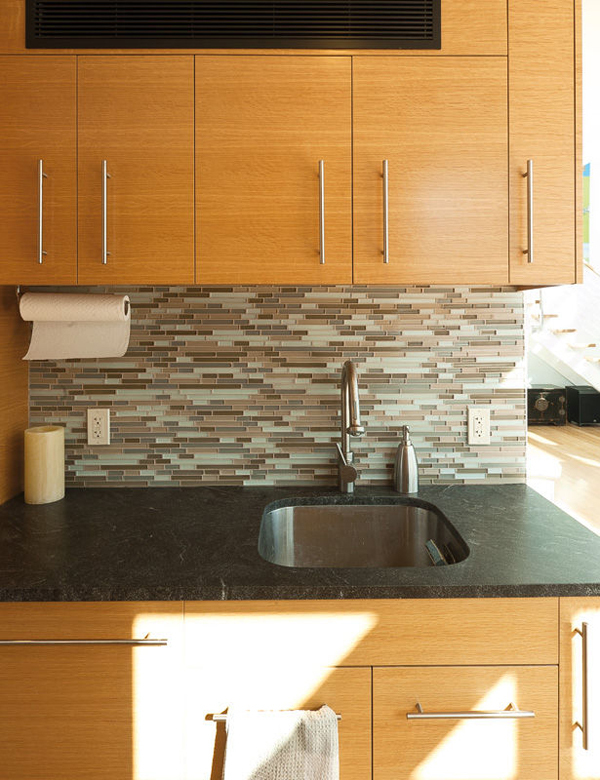 Visit the website of Robert & Courtney Novogratz who also have a show on HGTV, here. 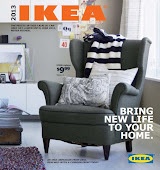 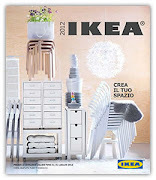 Launched in 2012, Fair interior design is a weblog developted to share the love and pasion for architecture and design. 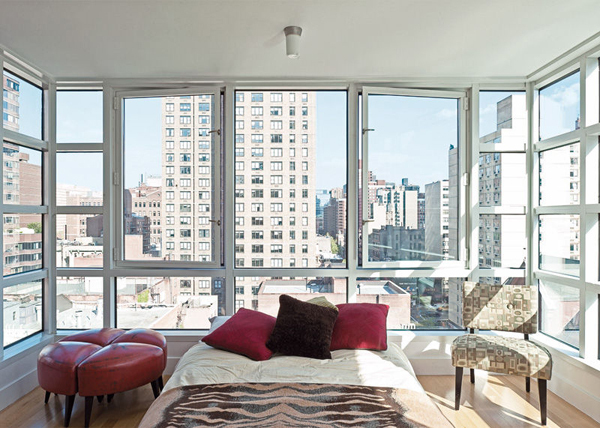 The vision is to give you inspiration to make your home more beautiful and attractive. 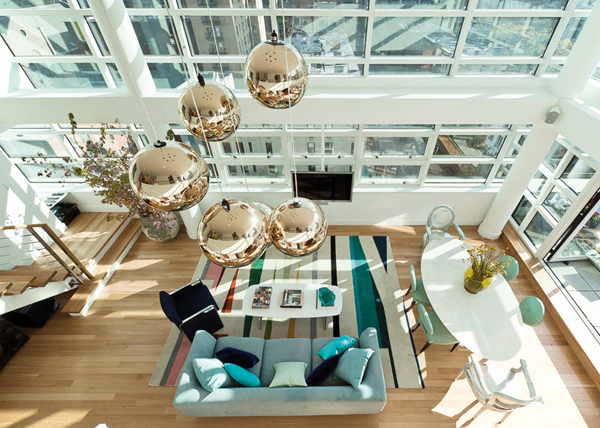 Fair interior recognise and celebrate interior design excellence.